So, you’d like to know more about MUBYLEIGH? That’s a good sign! I can’t wait to hear all about you and your special event. But first, I’ll tell you a bit about me and my company. My name is Leigh. I am a Makeup Artist, Hair Stylist and Hair Extension Technician based in Wakefield, West Yorkshire. The name MUBYLEIGH stands for, in case you hadn’t already figured it out, ‘Makeup by Leigh’. It was decided on during a food and wine filled trip to Paris to see my parents – I hope you like the sound of it as much as we did! Despite popular belief (babyfaced, small person), I am 25 years of age! I’ve always been a very creative person. After studying Art, Drama, Performing Arts and Dance and dabbling in almost every craft possible, I found my passion and went on to study Hair & Makeup Artistry in later years. I am a strong believer that everyone deserves to have the pleasure of being made up at least once! No occasion is too big or too small for a bit of pampering – so get in touch! I look forward to meeting you. I have always loved how makeup makes me feel, the confidence it gives me and the way it can totally transform the face. So, I created MUBYLEIGH to share that feeling with as many others as possible. If I’m honest, my makeup kit became just too big for one person! I first remember showing a real interest in beauty when I got my hands on my Mum’s ‘Ultimate Makeup & Beauty Book’ by Mary Quant, which was published when I was just 3 years old! Growing up, I had a lot of admiration for the woman around me and their skills in applying makeup. Specifically for my Mum who was always trying out new tricks and products, and my Grandma who to this day can perfectly apply lipstick without a mirror. After years of experimenting with my own makeup, I decided to study a Level 3 Diploma in Makeup Artistry and really make a go of starting a career as a Makeup Artist. Before long, I began incorporating hair styling into my repertoire and found a real love for that too! Suffice it to say, I have certainly never looked back. My approach is super relaxed and comfortable. Preparing your hair and makeup for your wedding, prom or any special occasion can often be stressful enough. But, with MUBYLEIGH, you can sit back and relax – you’re in good hands. Ensuring you feel totally at ease, I will always take the time to listen and fully understand your ideas and needs – of course, it’s all about you and what you want! It is my goal to ensure that each of my clients walks away looking totally flawless and beaming with confidence. I aim to enhance the natural beauty of each individual, helping them to feel like the absolute best version of themselves but still feeling like themselves! I am a fully qualified and insured and flexible to travel wherever you need me. I am available for bookings throughout Yorkshire, the UK and worldwide. Finally, if you’re organising your prom or special event or you’re getting married, I would love to hear from you! I aim to respond within 24 hours, so please do get in touch when you’d like to know more or make an appointment. 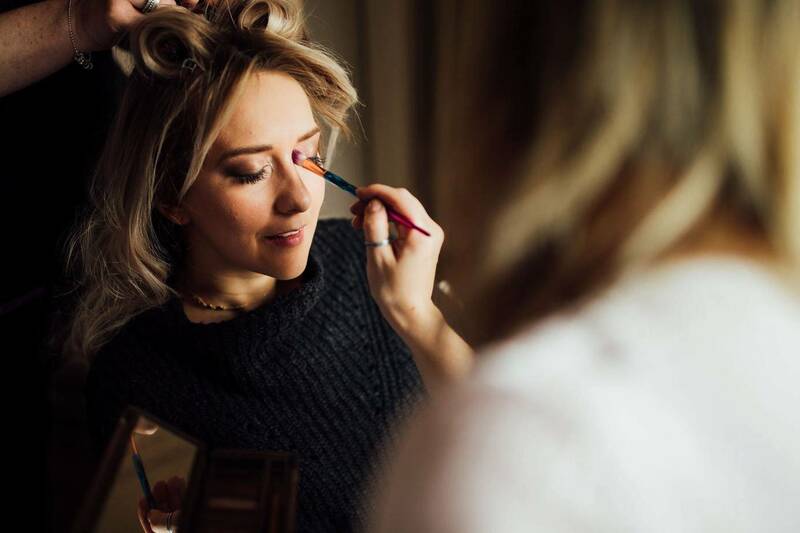 Be sure to check out my gallery and client reviews and when you’re looking for a bit of hair, makeup and wedding inspiration, head over to the MUBYLEIGH blog! Every Bride and Groom need a bit of advice and inspiration from time to time and that’s exactly what the MUBYLEIGH blog provides! Heard enough about me? Got some questions you need answered? Our FAQs page may just do the trick!